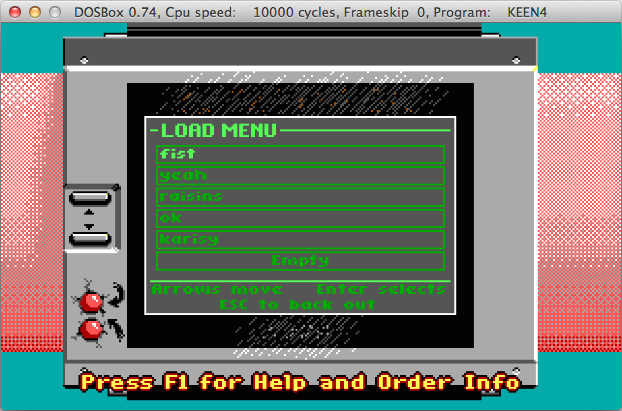 So, I've found some issues with the versions of Commander Keen included in the Anthology Release. I figured I'd put it all in 1 topic. Just as a heads up, I know these are Mac screenshots. 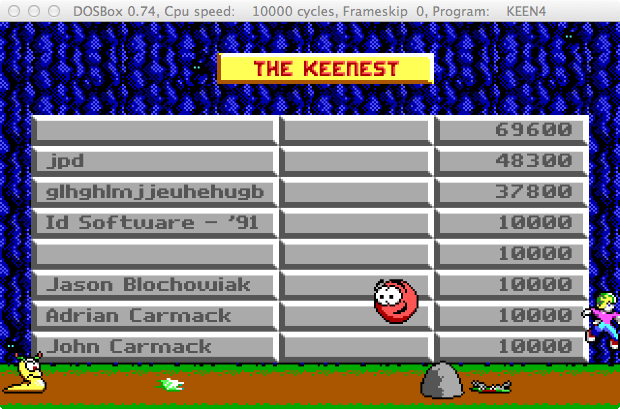 I installed the games in Windows 8 (via VMWare) and copied over the game files back to my Mac. 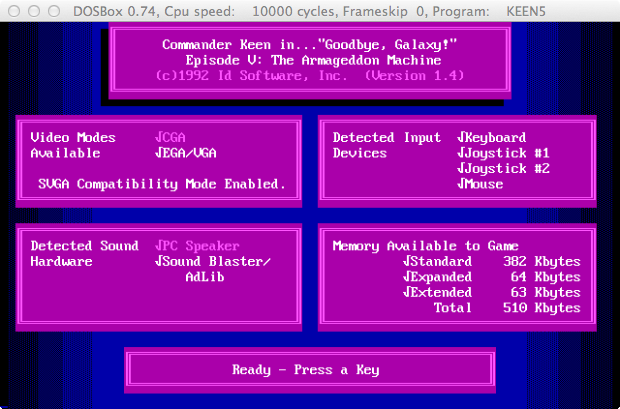 It looks like Keen 4 is version 1.1 & Keen 5 is version 1.4. 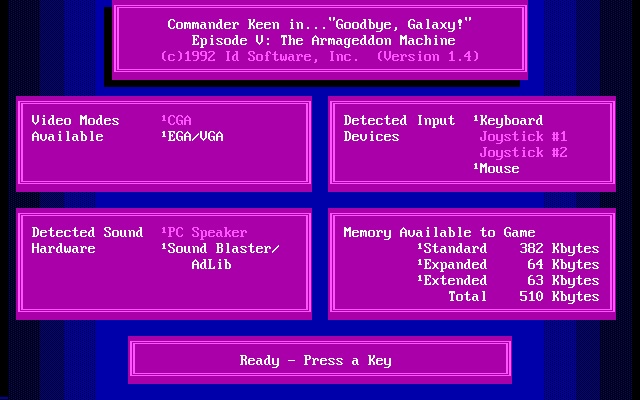 Another thing, it looks like Keen 4 & Keen 5 have old save-games included. Not sure if they were for testing purposes or what. 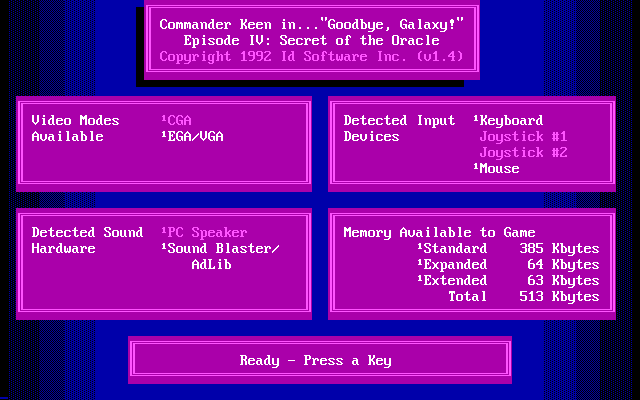 I know that some of these are minor gripes but, can the installer (both for Goodbye Galaxy & the Anthology) be updated to included version 1.4 for Keen 4? Last edited by eisnerguy1; 10-25-2014 at 04:25 AM. Those saves should be removed indeed. I also agree with the game being patched up to the latest stable version. I noticed that Cosmo's Cosmic Adventure also had some non-default high score data. I hope that they will fix these little issues as these oversights make the entire package feel like a dubiously obtained "outpouring of water". The included version of Monster Bash Episode 1 is also the shareware release as opposed to the registered release (the registered release omits the annoying nag screens). Monster Bash episode 1 is actually only at version 1.0 as well, should definitely be changed to the v2.1 registered. 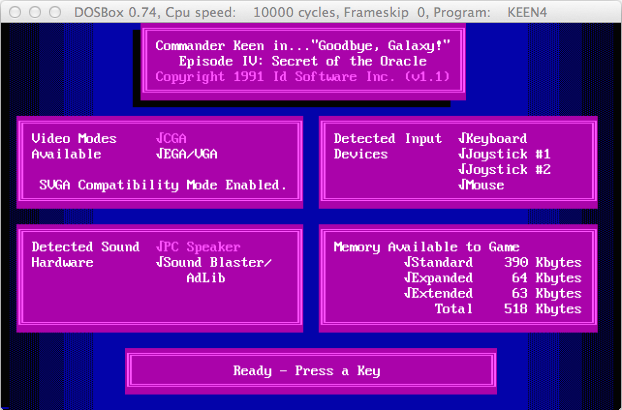 Also since it has the FILE_ID.DIZ of the shareware version, you can't play part 2 and 3 past the first level. Stargunner is also only at v1.0b while the most recent version is v1.1a. Last edited by Litude; 10-25-2014 at 03:39 PM. Our games are usually patched to the latest official, working version. This patch however breaks the game - specifically the sixth mission. We weren't able to find a fix as this is a known issue, so we decided to not include this patch at all.